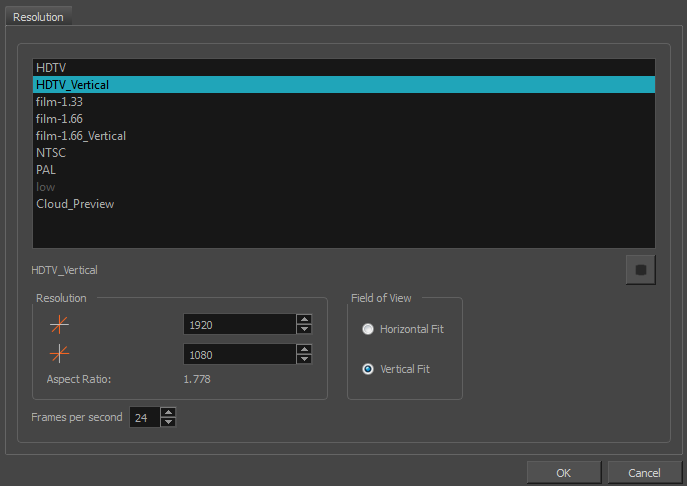 The Scene Settings dialog box lets you parameters for your scene. When you created your new scene, you set up the resolution and the alignment. However, if you want to change these initial settings later, you can do it using the Scene Settings dialog box. The different Scene Settings options are separated into four tabs. Select Scene > Scene Settings. You can select your project’s resolution (camera frame size) from this preset list. ‣ HDTV: High definition television delivers a higher quality image than standard television (4:3) does, because it has a greater number of lines of resolution. To take advantage of the superior quality your output device must be compatible with HDTV technology to make this resolution setting useful. ‣ HDTV_Vertical: The "vertical resolution" of HDTV_Vertical refers to how the images will be aligned in relation to the actual scene frame (default 4:3 grid). Note that the camera resolution and the scene frame are not the same. When working with 12 or 16 field drawing grids, the grid is a different aspect ratio from the camera frame. When you fit vertically, you fit the images with the top and bottom of the scene grid. ‣ film-1.66_Vertical: This is essentially the same as film-1.66. Refers to how the drawing is fit into the scene frame. 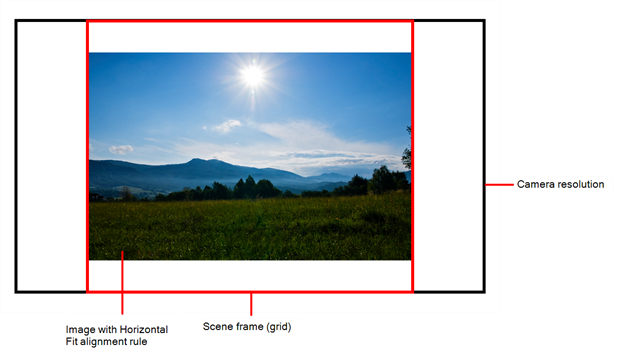 When working with 12 or 16 field drawing grids, the grid is a different aspect ratio from the camera frame. When you fit vertically, you fit the images with the top and bottom of the scene frame. ‣ Cloud Preview: This is the resolution used by Web Control Center to create its preview. Displays the selected resolution preset. Click the Save Resolution button after you define your new resolution to save it as a preset. Displays the pixel dimensions for your project resolution. If you decide to type in the pixel dimensions, or use the up and down arrows to change the pixel increments, you will have to save your custom selection in order to save it as a new preset. It will then appear in the resolution selection list. It doesn't modify the current resolution preset. Use these options to define the FOV (field of view) of the camera (angle of the camera cone) and how the drawing elements (and drawing grid) align to the scene grid. The drawing grid is always scaled proportionally to a 4:3 ratio (unless you change the scene alignment), therefore changing the Field of View setting may not show a visible difference if your project resolution is also 4:3, such as NTSC. 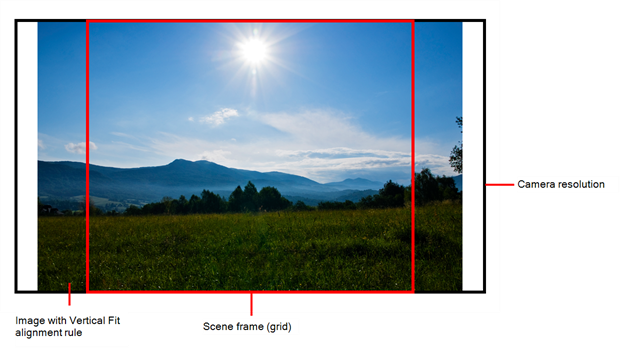 Horizontal Fit: The camera resolution is set to fit the left and right edges of the scene grid. Vertical Fit: The camera resolution is set to fit the top and bottom edges of the scene grid. NOTE: If you change your scene‘s alignment from 4:3 12 Fields to Square 12 Fields part way though your project, you may find that the animation grid becomes offset. To correct this, choose the following setting from the Layer Properties panel‘s Advanced tab: Alignment > Alignment Rule > Centre First Page.